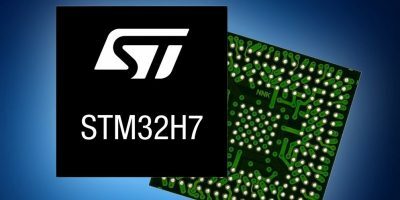 To protect connected devices, STMicroelectronics developed the STM32H7 series microcontrollers. They are designed with the same security concepts as the Arm Platform Security Architecture (PSA) framework and combine these principles with STM32-family enhanced security features and services to boost protection for connected smart devices. The STM32H7 is now available from distributor Mouser Electronics. 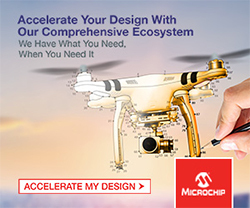 The microcontrollers are based on a 32-bit Arm Cortex-M7 core with double-precision floating point unit (FPU), up to two Mbytes of flash, and one Mbyte of RAM. 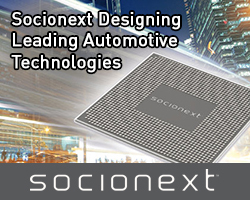 The microcontrollers integrate hardware-based security features including a True Random-Number Generator (TRNG) and advanced cryptographic processor, which will simplify protecting embedded applications and Internet of Things (IoT) systems against attacks. 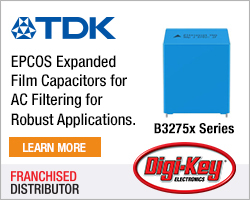 To enable secure firmware loading, security keys and software services on the microcontroller give OEMs the ability to supply manufacturing partners with already encrypted firmware, eliminating the possibility of intercepting, copying, or tampering with the code. This enables programming and authenticating the device to establish the root-of-trust mechanism needed for the device to be connected to the end-user’s network and remotely updated over-the-air (OTA) to apply security patches or feature upgrades throughout the lifetime of the device. The devices offer improved performance through the Chrom-ART Accelerator for fast and efficient graphical user interfaces (GUIs), a hardware JPEG codec that allows high-speed image manipulation, highly efficient direct memory access (DMA) controllers, and the L1 cache allowing full-speed interaction with off-chip memory. Multiple power domains allow engineers to minimise the energy consumed by their applications, while I/Os, communication interfaces, and audio and analogue peripherals can address a range of entertainment, remote-monitoring, and control applications.